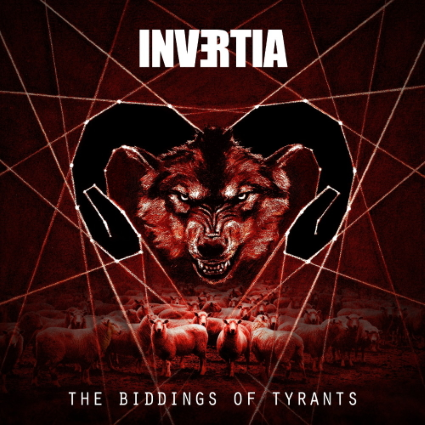 Next up is the latest release, “The Biddings Of Tyrants,” from Industrial Metal duo Invertia. Their music combines elements of death metal, punk and electronics to create an intense, mind-numbing sound that is hard to resist. Their new ten-song release begins with howling vocals of “Another Big Brother” as the song’s rhythm fires off like a machine gun. They continue the onslaught with the fast-pace of “Dystopiate” and the intense, soul-crushing rhythm of “Thetan Hop.” Invertia work up the perfect death metal anthem with “Scattered,” before finishing with the mach speed of “Trapped & Tailored.” To find out more about Invertia and their new release “The Biddings Of Tyrants,” please visit their Facebook page at facebook.com/invertiametal.